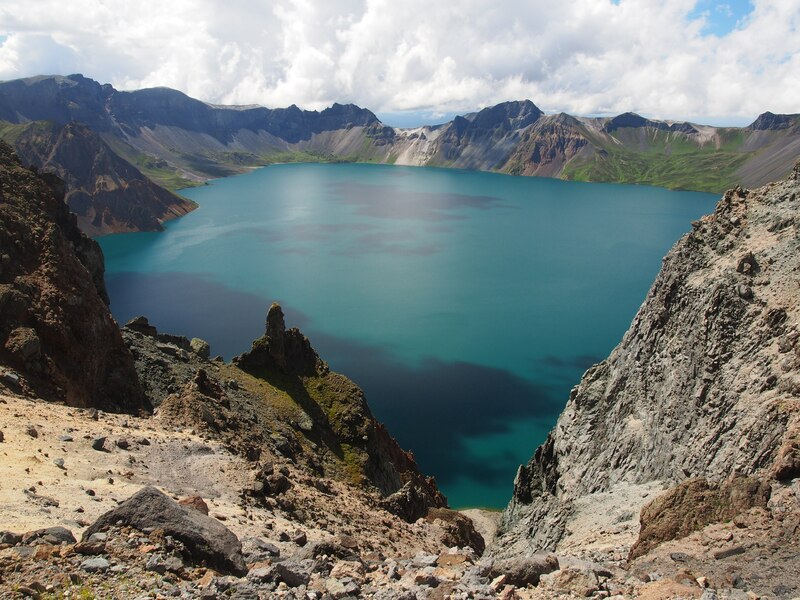 On the border of China and North Korea, in a caldera at the top of Baekdu Mountain, you will find Heaven Lake. 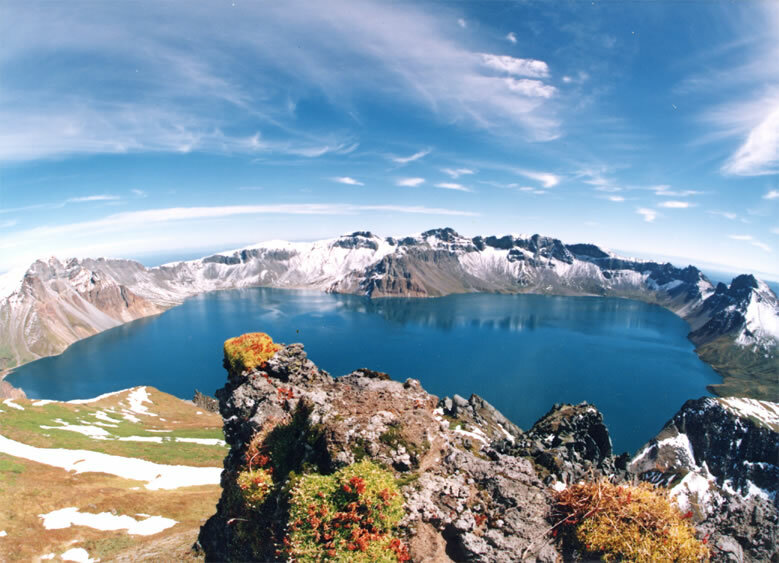 The caldera was created when the volcanic mountain erupted in 969 CE. Visitors to the lake can enjoy stunning walks, hiking, and horse rides along the mountain paths. Canvas yurts are the most common accommodation for tourists, but there are also more upmarket hotels. The semi-nomadic Kazakh people inhabit the area seasonally. Staying in traditional Kazakh yurts and using their guided horseback tours help them earn the income that they live on for the rest of the year. It can get quite cold in the area, so warm clothes are suggested. OMG!!!!!! I could tell which side elongs to Korea and which one belongs to China!!! what a beautiful places!!!!!!!!!!!!!!!!!!!! nice collection of images!